ILLUS: Lisa and I went to the largest flea market in the world and while we were there, it was during August, very, very hot outside needless to say. While we were at this place, we decided to get some food so we stopped at a chicken sandwich restaurant, ordered the chicken sandwiches, sat down at picnic tables, which were strategically located in the shade. We were munching on our chicken sandwiches. While we were munching on our chicken sandwiches, something strange happened. A girl who worked at the restaurant where we had just bought the sandwiches walked around to the picnic tables where people were eating their food and she was serving samples of the food we were already eating. In other words, we were eating chicken sandwiches and she was serving little samples of chicken sandwiches to us. So we watched her move around in the shade, in the comfort of the picnic tables. The church is the table where people come to get fed. The church is the table where people come to get nourished. Every time we come to a table to eat a meal, we find ourselves seated in a chair. But the chairs at the table represent much more than places to relax and dine. In this message, Pastor Ed Young looks closely at the chairs around the table of the local church. He reminds us of what they represent, and then challenges us with the reality that it’s not enough to sit in a chair and be content. 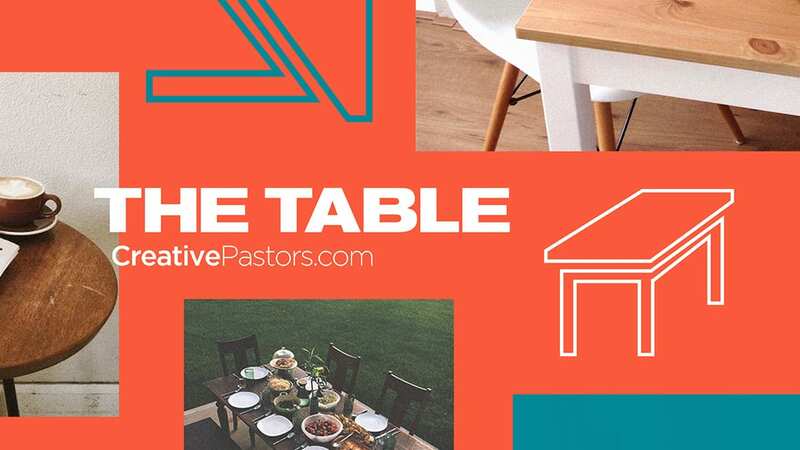 The purpose of the table is to help people move from chair to chair in order to experience all that God has for their lives. ILLUS: I saw a good looking girl in church, when I was 14. Her name was Lisa Lee, now of course Lisa Young. But when I saw her I said to myself, "Man, that girl is hot." But then I thought, quickly, “Man, she's out of my league.” But a friend, his nickname was Bubbles, David Bubbles Swindler; I've never forgotten that guy; he gave me a note. He goes, "Man, I can tell this Lisa Lee girl wouldn't mind if you gave her a call." So I gave her a call. We ended up connecting. One of our first dates; I couldn't drive, I was 14; was when I invited her over to our house. We lived about 30 minutes away from where Lisa lived. We were sitting around our kitchen table. In fact, this is the table where we sat around. This is my kitchen table. Before my mother died, she gave it to Lisa and I. We've had some great times, some great memories around this table. One of the most stressful times was when this gorgeous girl came over to our house to eat with our family and I'd given my brothers pep talks. My youngest brother Cliff, who definitely was a surprise, was like three years old, wild, crazy, talking, talking, talking. I said, "Cliff listen." And I tried to explain it to him where a three year old could get it, "Be calm. "There's a girl coming over. This girl is my girlfriend." "What's that?" I said, "She's my girlfriend and just be cool. Ben, watch Cliff." And Ben understood. Ben's kind of a quiet guy. And then I tried to get my parents kind of a talk like “Mom and dad, just try to act cool.” I was really concerned about what my mother cooked and how she presented it and what I had on and all of that. Lisa walked into our house and I was, "Man, this is going to be great; this is going to be great." She sat; I'll never forget; right here and I sat right there, and for some reason Cliff was in sort of a booster thing or whatever, he was right there. So we have the ubiquitous prayer that we always pray before dinner. So we begin to talk and you know, you're nervous. Put yourself in my shoes. Here I am 14 years old. Mom and dad, my two brothers were eating this food. And during the middle of the meal Cliff looks at Lisa and he goes, "You're not drinking your tea. You don't like your tea?" How many of you remember eating family meals together? You remember eating family meals together? How many eat family meals together regularly today? Family meals, wow, family meals. Family meals are important. And I know in today's society, they're so, so busy, it's really good to have family meals at restaurants, a lot of us eat out, and you can have a family meal, whether it happens to be at your home, or in a restaurant. When I was a kid, we didn't go out to eat very much, there weren't the restaurants we have available to us today. We did, though, do a really good job, my family did, of having family meals. Back when I grew up, you could just let kids roam around the neighborhood. We would sometimes ride our bikes miles and miles away. We had a good time doing that. I wish, really wish we could do that again, but in today's crazy culture, we can't really do it. I do however, remember dad calling us to dinner. He would kind of do it in a rhythm, and he has a powerful voice, he'd be like, "Ed, Ben, time for supper!" And when we heard his voice, we would stop in our tracks, cruise to our house, and we sat around this table. This table is almost 50 years old, this is the table where I grew up, eating around, it's the legitimate table. My mother gave it to Lisa and I years before she passed away. Sometimes, my friends would be playing, and other parents would whistle, maybe your parent was a whistler, to bring you to the table. We also had a bell, if we couldn't hear our parent's voice, “Bong! Bong! "Hey Ben, is that a bell?" And we knew, we better get to the table. We had a good time around the table, my mother was a great cook. My only beef about my mother's cooking was she didn't cook enough food. I don't know why! She never cooked enough, I remember being hungry all the time, I think if I had grown up in a household that served a lot of food, I'd probably be, I don't know, I'd probably be in Jason Witten's spot right now. I'd be that big, about 6'8", 245, about 3% body fat, but, I turned out the way I am. Anyway, my mother didn't cook that much, but the food was really, really good. I remember sitting at the table, and we would have these great conversations at the table. And something that was different about our family than other families, I didn't know this, because when you grow up in a family, you think, "Oh, every family's like this," but no, every family's not like your family. Set the tone for your message with this high resolution graphic from the "The Table" series. Have you ever considered how much life revolves around a table? Tables are staples in our homes, restaurants, schools, and office buildings. But a table is much more than a common piece of furniture. It is a reflection of the only thing Jesus ever built—the local church. 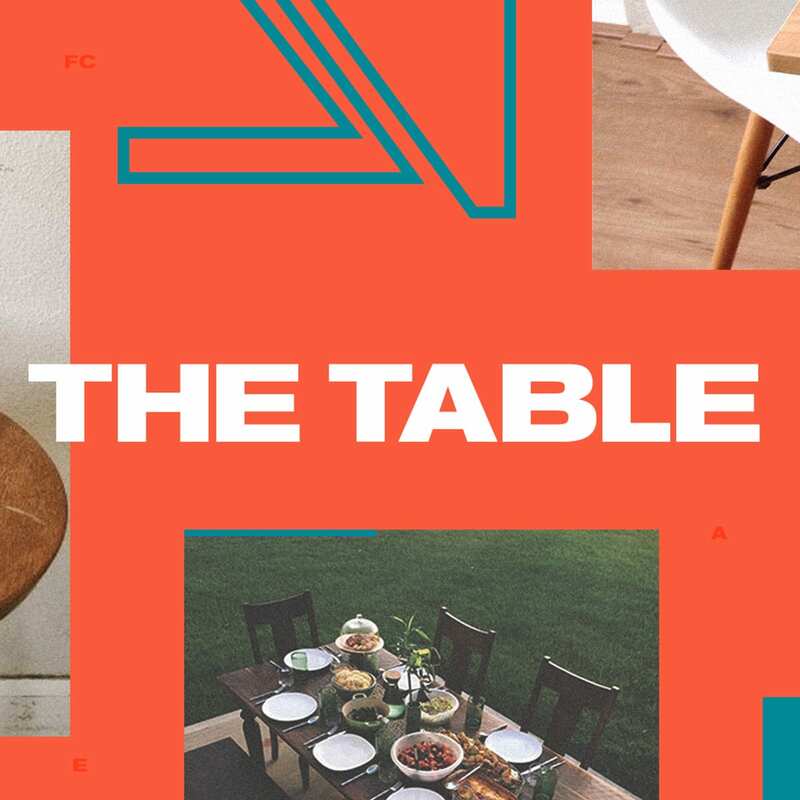 In this sermon series, Pastor Ed Young unpacks the power of the table in our own lives, and shows us what role we play in serving and dining on the greatest meal in the world, the Bread of Life. Discovering growth around the table. Every time we come to a table to eat a meal, we find ourselves seated in a chair. But the chairs at the table represent much more than places to relax and dine. In this message, Pastor Ed Young looks closely at the chairs around the table of the local church. He reminds us of what they represent, and then challenges us with the reality that it’s not enough to sit in a chair and be content. The purpose of the table is to help people move from chair to chair in order to experience all that God has for their lives. Joining the family of God.